On four continents, the Sacred Fire Community’s Lifeways are quietly breaking through the constraints of modern life to bring intentional rites and ancestral teachings back to our culture. 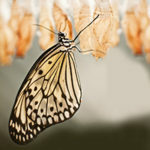 Featuring deeply rooted ancestral approaches, these programs mark life’s transitions and offer participants real transformation and a sustainable way of relating with each other and the living world. 1. Families and Communities learn to celebrate pregnancy, welcome new babies and honor the mystery of new life. 2. Young people are mentored into adults who can make the world a better place. Since 2005, the sfc lifeways Initiation program has initiated over 100 young people. These young men and women have gone through the sacred passageway designed under Grandfather Fire’s guidance and overseen by experienced ritual leaders to produce the transformation needed to become, emotionally and spiritually, young adults. They are now out in the world discovering what this means as a way of living their lives and deepening their connection to the world. The Initiation Council has been aware of the need for continuing support and actual mentoring of our young people to help them in the process. This Council has recognized that the majority of adults today have not had the gift of initiated adults and elders to guide them in their early years. The challenges that adults, both young and old, have faced over the last several years have created a society of imbalance and struggle. 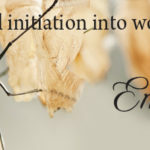 The SFC Lifeways program is pleased to announce the beginning of the Lifeways Mentoring Program for Initiates of the Initiation into Womanhood and Young Men’s Initiation. The Initiation Council and small group of committed and passionate adults have given their time and money to be trained as mentors for our young people. This training will culminate with a gathering of initiates and the new mentors for a kickoff of the Lifeways Mentor Program in early December of this year. Thomas Balistieri, a trained counselor and educator has guided the thirteen adults through a process that will benefit our people for years to come. The Sacred Fire Foundation awarded the SFC Lifeways Mentor Training Program held in July and September, a grant to pay the costs of the trainer for the initiation mentor training of the adults and Initiation Council. The Lifeways program is looking for generous people to help with funding for the December 2013 Mentor Pilot Program. 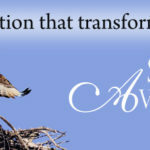 If you are passionate about mentoring our young people to become leaders of our future, please send your gifts of support to: Sacred Fire Community, Sherry Boatright, Lifeways Director, 142 Hamp Chappell Road, Carrollton, GA 30116 or, you can also donate on the Contributions page of the Sacred Fire Community website, www.sacredfirecommunity.org/contribute. Please write Sherry an email and let her know you have made a Mentoring contribution. Thank you! The Mentor Training Program will be offered again in 2014 by Mr. Balistieri through the SFC Lifeways Mentoring Program. If you are interested in becoming a mentor or would like more information, please send your application or question to Lydia Jane Michaels, Administrator for the Initiation Council. Sacred Fire Community Lifeways and our developing global communities centered around the fire provide modern humans with comprehensive tools and experiences for living a deeply connected life. Acknowledged throughout humanity’s history, Fire holds our deepest knowing and wisdom, and awakens our personal relationship with the Divine. Community is the workshop for learning the gifts of fire. Lifeways is brought to you by the Sacred Fire Community. I am interested in the Mentoring program for 2014. Could you please send me more info on when and how the training works, and the qualifications? I have been in the PSM part of the community since 2001. I was a high school teacher all my adult career and know how important mentoring is. Lifeways Headlines: Families and Communities Learn to Celebrate Pregnancy and Birth Holiday Season Sale Support The Sacred Fire Community!